Note: this page is for the Original Timelapse+ Intervalometer. The new VIEW Intervalometer does not require these cables. 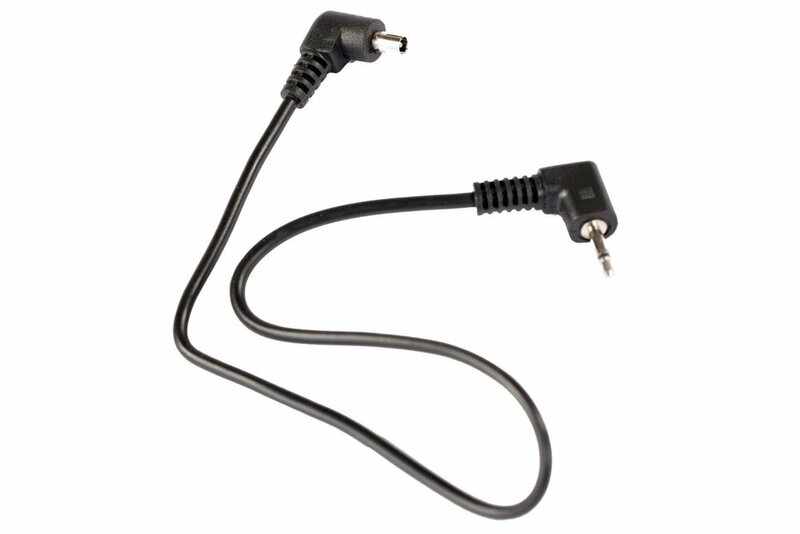 Clicking on the purchasing links brings you to the product page for that cable at an external site. 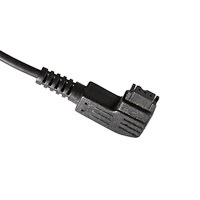 If your camera is supported by IR only, a cable is not necessary. Check out the Interfaces section to learn more about the different interfaces. Also, many Canon cameras can be fully controlled by USB alone, making a shutter adaptor cable unnecessary (just use the OTG cable with a USB cable that fits the camera). 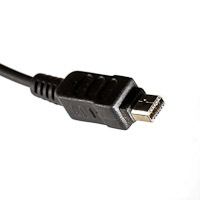 This cable allows the use of the Timelapse+ USB host port (on the left side) for controlling compatible cameras (currently only Canon EOS, Sony A7, and most Nikon DSLRs -- see Cameras Supported by USB for more). Depending on the camera, it could be used instead of or in addition to one of the shutter cables below. 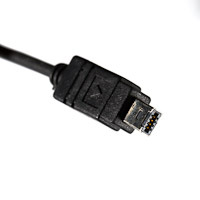 This cable is connected from the AUX port (top right) on the Timelapse+ to the camera's PC-sync (flash sync) port, or hotshoe adaptor, for cameras without a PC-sync port. Using PC-Sync allows for smoother, flicker free bulb ramping when bulb times are less than ¼ second (on Canon primarily). It's recommended for bulb ramping, but not needed for any other kind of time-lapse.The PC-sync cable is also required for the "Auto Configure" utility. These cables allow for control of the camera's shutter button. 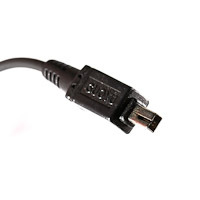 For most Canon cameras, USB alone can perform all the functions, so the shutter cable is not necessary. 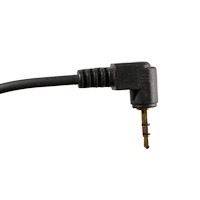 For Nikon, the shutter cable is used in addition to USB. For other models, a shutter cable is always needed unless the IR interface is used (only recommended if the camera doesn't have a remote release port). Shutter cables only allow control of the shutter, not any other parameters such as ISO, etc.